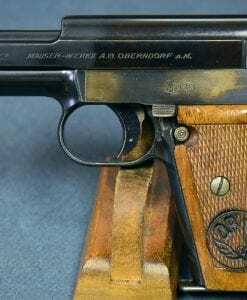 US WW2 1908 COLT GENERAL OFFICERS PISTOL….ISSUED TO MAJ GENERAL CARROLL DEITRICK…….MINT!!! 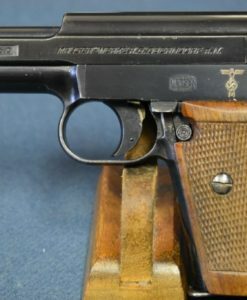 In 97%+ very sharp condition we have a very rare US WW2 production Colt M1908 General Officers Pistol that was issued in 1951 To BG (later MG) Carroll H. Deitrick. 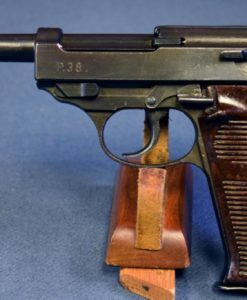 This is a late war production Colt that is “M” marked which indicated that it one of the large group of pistols that was returned to Colt for a slight modification to improve reliability. 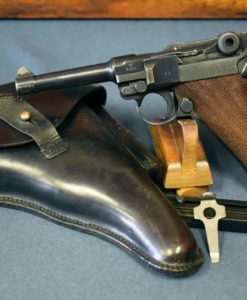 As there were only ever approximately 3,000 of these M1908 Miltiary Issues, they are much rare than the US Property marked 1903 Colts. This comes with a Colt factory letter indicating shipment in June 1945 along with other documentation and photographs as well. 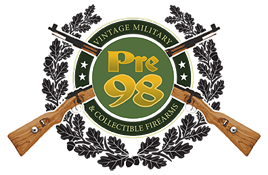 General Deitrick’s career was strongly associated with the Ordnance Department so he is of significant interest to firearms collectors. He was at times the commanding officer of the Ogden,Picatinny, and Watertown Arsenals and during WW2 he was the Deputy Chief Ordnance Officer for the Entire European Theater of Operations and the Chief Ammunition officer. 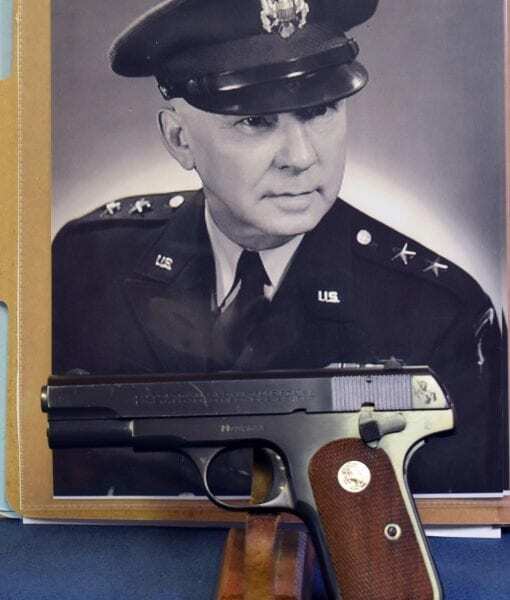 His final assignment was as commander of Aberdeen Proving Grounds from 1956-1958. During WW2 then Colonel Deitrick was instrumental in insuring assuring the adequate supply of ammunition for the entire campaign in Europe a highly significant achievement.